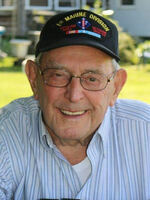 Provide comfort for the family of Charles "BUD" Knell with a meaningful gesture of sympathy. CHARLES SEBASTIAN KNELL, known to all as “BUD” of Street, MD, died on Friday, November 30, 2018 in Upper Chesapeake Medical Center, Bel Air, MD. Born on October 7, 1931 in Baltimore, MD, he was one of four children born to the late John Charles Knell and Mary (Hoffman) Knell and was 87 years old. Married on September 17, 1955, he was the beloved husband of R. Eleanor (Kittel) Knell for over 63 years. A United States Marine Corps veteran, he proudly served his country during the Korean War. Bud had worked for many years for the former Bethlehem Steel Corporation, followed by service with Morton Thiokol. In 1994, he and his son, Bob formed the family business known as B&B Precision Wire EDM Inc., in Forest Hill where recently three generations of the Knells were employed. A true family man, Bud enjoyed going on family trips to Nanticoke River in Nanticoke, MD spending weekends there from April through October each year. He treasured teaching his children and grandchildren the art of fishing and crabbing. Most of all, Bud looked forward to hosting the entire family at the annual Christmas open house. He was preceded in death by two brothers: Donald Knell and Edward Knell. Services will be held in Highland Presbyterian Church, 701 Highland Road, Street, MD 21154 with a visitation from 6 to 9 on Tuesday evening followed with the funeral service at 10 a.m. on Wednesday. His pastor, Reverend Raymond R. Meute, Jr. will officiate with words about the family by former pastor, Reverend Dr. William J. Netting. Interment to follow in the church cemetery with military honors presented by the United States Marine Corps Honor Guard. In lieu of flowers, his family would appreciate memorial contributions to the church at the above address. To plant a memorial tree in honor of Charles "BUD" Sebastian Knell, please visit our Heartfelt Sympathies Store. 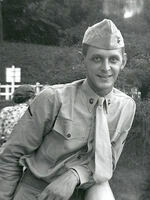 Reverend Raymond R. Meute, Jr.
Military honors will be presented at graveside by the United States Marine Corps Honor Guard. We encourage you to share your most beloved memories of Charles "BUD" here, so that the family and other loved ones can always see it. You can upload cherished photographs, or share your favorite stories, and can even comment on those shared by others. Plant a Tree in Memory of Charles "BUD"